I loved the colour scheme in this week’s Tuesday Trigger over on Moxie Fab World, so I finally pulled out the supplies I had collected this week without a minute to spare. Posting this quickly to make the deadline, I apologize for the photo quality – the lighting at 11:45pm isn’t favourable. 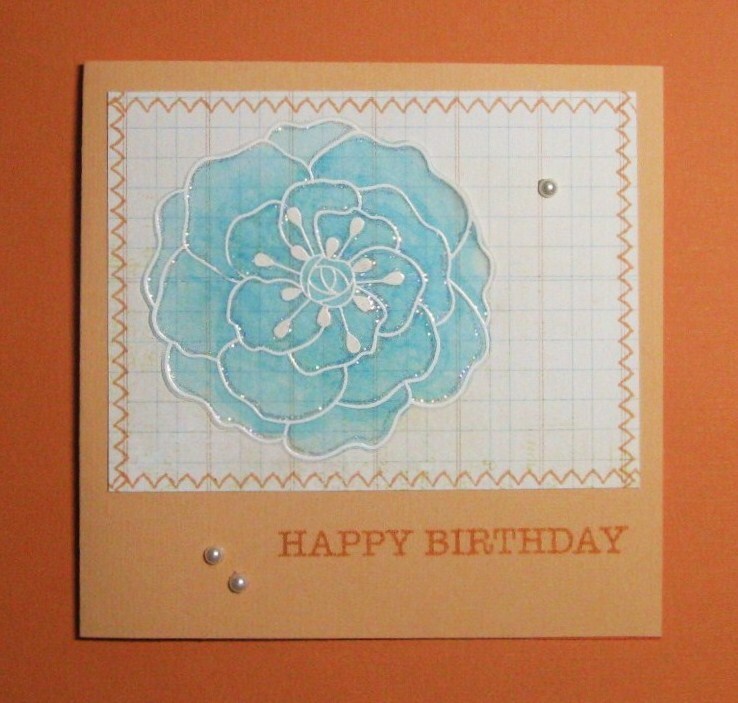 The combination of apricot and robins egg blue was what drew me to the inspiration photo, so I used the same colour scheme for my card. I love that Hero Arts flower, which I coloured on the back with my Copic Markers. I’ve been looking at all of the other entries and am even more inspired now. I will definitely try this colour scheme again in the future. Very cute Meghan! Love your flower. Absolutely gorgeous! Love the flower. Thanks for the comment today. Hugs!